Spring is Coming! Don’t Let Allergies Keep You Inside! The word allergy is synonymous with hypersensitivity. Being allergic basically means that your immune system works too well – and you react to substances in the environment that don’t affect others. Allergies can cause a myriad of problems, such as nasal congestion, fatigue, itchy and watery eyes, runny nose and recurring sinus infections. Common allergens include dust mites, molds and pollens such as grass, ragweed and trees. People may also have sensitivities to certain foods, bacteria, animal dander, insects, chemicals and dyes. Sensitivity or allergic reactions can develop after repeated exposure to a substance. Often individuals may also be sensitive to more than one allergen and can develop new sensitivities at any time. Confronting a loved one about their hearing loss can be stressful and difficult, but hearing loss does not just affect the sufferer. Midwest Ear, Nose & Throat Audiologist, Holly Ralston explains that hearing loss is one of the top three most chronic conditions reported by the aging population. “According to recent research by the World Health Organization, by the year 2025 over 500 million older adults across the world will experience age-related hearing loss. Given these numbers, it is likely you or a loved one may be affected by hearing loss. Taking the proper steps to identify and treat hearing loss is crucial and can reduce a wide spread of negative effects on the patient and his or her family members,” Ralston stated. We would like to give a warm welcome to our new physician, Dr. Greg Danielson! Dr. Danielson grew up in Vermont with his parents and younger sister. From there, he went to Saint Lawrence University in Canton, NY where he met his future wife. After college he went to Medical school at the University of Vermont. He got married during medical school and then went into residency at the University of Vermont doing 2 years of general surgery prior to changing to ENT. During his residency, he and his wife had their two sons. His second to last year of residency was spent at Dartmouth Hitchcock Medical Center in New Hampshire. "During my time as a resident I worked with and got to know Dr. Kasznica and Dr. Tamura, who were also training in ENT at UVM," said Dr. Danielson. "After completing my residency in ENT I took a job with a large multi-specialty group and practiced in Exeter and Portsmouth, NH. I practiced in NH for seven and a half years. During that time I kept in contact with Dr. Kasznica who encouraged me to come out to South Dakota and see why this was such a great place to practice ENT and raise a family. Eventually I came to visit and was impressed with the practice and people that I met. After bringing the rest of my family out to see the area, we felt the opportunity was too good to pass up. In April, my father and I hopped into a very packed car and drove to Sioux Falls so that I could settle in and join the practice. My wife and sons remain in NH so that the boys can finish out the school year. In June they will be coming out to join me here!" If chronic sinus pain and pressure is keeping you from "springing ahead" as the temperatures rise, it might be time to look into a treatment plan that can restore your quality of life. Daniel Todd, MD, FACS, specializes in sinus issues at Midwest Ear, Nose and Throat and empathizes with patients who are suffering from chronic sinusitis. "Symptoms like headaches, facial pain and pressure, postnasal drip and congestion can really drag people down," Dr. Todd says. However, because sinusitis is so complex, he approaches stubborn symptoms from a treatment standpoint. "The cause of sinus problems are multifaceted. And to further complicate matters, many headaches really have little to do with the sinuses." It’s back to school time, which can also mean back to seasonal allergies. While frustrating and painful, the fall season bears predictable triggers even in new surroundings. 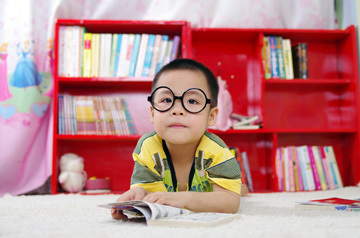 As your child heads back to school or moves into college housing, don’t forget to take allergens into consideration. A new homeroom or even dormitory may display new allergens. Turn over a new leaf and stay ahead of painful inflamed sinuses, itchy eyes and repeated sneezing with these tried and true tips. 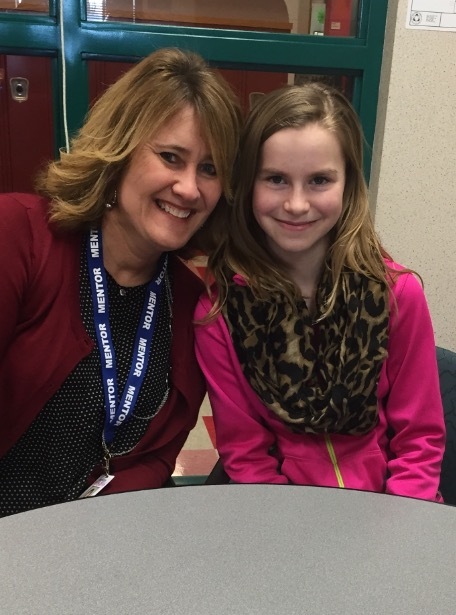 Spotlight story on our Midwest Ear, Nose & Throat administrator, Lisa Bendt and the LSS Mentoring program! LSS Mentoring Services matches volunteer mentors with students in 11 Sioux Falls area school districts. Their mission is to empower youth to succeed by establishing trusting relationships with adult volunteers. LSS recruits, screens, trains and supports volunteer mentors who meet with one student one hour per week during the day at school. It has been found that mentors have a significant impact on youth when providing guidance and developing consistent, long-term friendships. Lisa heard about the program through a professional peer who was volunteering with LSS. In listening to her share her story of mentoring over the years, she quickly realized the impact she was making in a child's life, just being that one person the child could always count on and talk to. The one hour commitment of volunteering each week seemed very attainable, and what a great way to give back to the community! Lisa was connected with LSS and from there the process began! Back to school can often mean a tough time of getting back to sleep at a decent hour, not only for kids, but parents alike. And one of the biggest problems getting some shut eye anymore? Well, the answer most likely won’t surprise you. Check out what Brooke Espicha, a certified physicians assistant with Midwest Ear, Nose & Throat had to say Thursday on KDLT News Today. Hunter and Outdoor News writer Kristen Monroe gives a first-hand look at how hunting and shooting can affect hearing loss. A Wisconsin native, Monroe took hunting safety as a teenager but only started shooting at 31-years-old. She enjoys hunting pheasant with her father and brother, or if she needs some quiet time with nature, shooting from a tree stand. In today's blog, Monroe talks about why hearing protection is important, the damages shooting unprotected can cause, using SoundGear and why some hunters may consider hearing protection a low priority. How did you rupture your eardrums? I crashed into a lake while slalom water skiing. I hit the water at just the right angle causing a rupture. I also ruptured it two other times because of bad ear infections. One of those times was during a snow goose hunt, and it cut my trip short. Does your family have a history of hearing loss? Do you? Not that I am aware of. But according to my doctor, anyone can be affected if they are not careful. I have had several ear infections, tubes and temporary hearing loss though. Have you ever had your hearing tested? If so, what were the results? If not, why not? When I was a little girl I had hearing tests, which resulted in tubes in my ears. I also had my hearing tested after I ruptured my eardrum last time. I had temporary hearing loss for about a month. Wow! Thanks to all who participated in our 2nd Annual Eyes vs. Ears Blood Drive! It was a HUGE success! 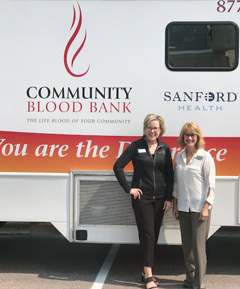 We teamed up with Sioux Falls Family Vision at the end of June to hold a very successful and awesome blood drive! We saw 74 donors and had 67 lifesaving donations given, helping 201 patients and their families!! All donations stay local and go to the hospitals in our community. We are humbled at the support we get for this each year from our patients and staff, and we want to give a shout out to the amazing SF Family Vision and the Community Blood Bank for all your work to make this a success! We make a great team! Thank you so much for all your lifesaving support for local patients! You are the difference! Stay tuned for information on our upcoming Eyes and Ears Christmas Toy Drive Challenge! Pets play a large part in people's lives. Most households have at least one furry friend and the thought of giving up their companion due to allergies can be heartbreaking. But allergists suggest a treatment tip that can be used to keep pets and their allergy-ridden owners "best friends." Daniel Todd, MD, from Midwest Ear, Nose and Throat, has extensive knowledge of pets and allergies having been a Fellow of the American Academy of Otolaryngic Allergy. He says that more than half of U.S. households are living with pets and people with allergies. Despite this, most of those affected individuals are likely to get rid of their allergist rather than their pet. But maybe love can conquer all, or at least allergies. "There are ways treat patients so they can become desensitized," he adds, even though all pets are potentially harmful due to the dander in their fur. 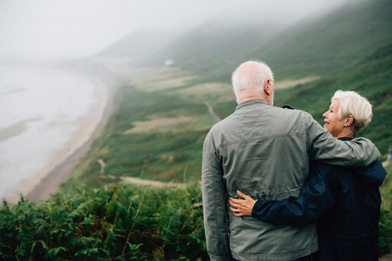 According to the National Council on Aging, untreated hearing loss has been linked to increased susceptibility to numerous other health complications. There is a new sinus surgery technique making headlines that will offer patients a more comfortable surgery and recovery. Backpacks, school supplies and new clothes are just a few of the life-changes a family with young children undergoes when summer wraps and school begins. Millions of children suffer from serious allergies and asthma. In fact, these stubborn ailments account for over 14 million days of school missed, which in turn greatly affects the parents’ work schedules. 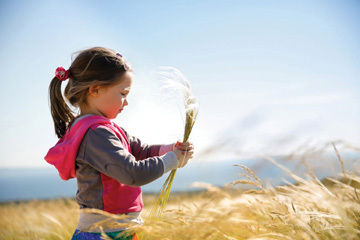 But aside from inconvenience, allergies can be a life-threatening condition for some kids. 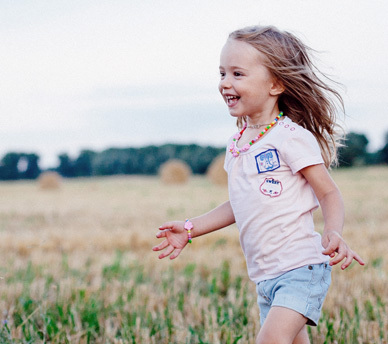 And while most schools have protocols for children with allergies, it's ultimately up to the parent to identify the type of condition – with the consult of a physician – and communicate a plan of action for avoidance and treatment. Does your child struggle with constant ear infections? Do you frequent the doctor's office and have tried numerous antibiotics only to still experience sleepless nights and face concerns about permanent damage to your child's hearing? Then you join the countless number of parents and caregivers who suffer the same circumstances. Next to the common cold, ear infections in children rank high on the list of childhood illnesses. And while it may be common, that doesn't mean it's any less frustrating, concerning or problematic. From first-time caregivers and parents to those who have experience with ear infections in children, the bottom line is that each infection and treatment can vary. It's important to first understand the basics of the infection to truly recognize the symptoms. "Ear infections are caused when the Eustachian tube that connects the middle ear to the back of the throat gets swollen or blocked by congestion or mucus," says Daniel Todd, MC, FACS of Midwest Ear, Nose and Throat. "The fluid then builds up in the middle ear making it prone to infection from bacteria and viruses. While most children eventually grow out of chronic ear infections as their ears develop with age, it's still vital to take immediate action. Ear infections are painful and often very frustrating. Because they happen so frequently, especially in infants, and there is no magic medicine to prevent them from occurring, most adult sufferers and parents find themselves frequenting the health clinics and sometimes undergoing surgical measures. But first, it’s important to understand just why the ear is such a catalyst for painful and frequent infections and how new understandings of allergies can play a part in prevention. Congratulations To Dr. K and Dr. Todd! We want to congratulate Dr. K and Dr. Todd, who were chosen for the "Three Best Rated ENT Doctors in Sioux Falls" on the Three Best Rated website! This is a huge honor for these two amazing doctors, and for Midwest ENT! They were chosen from a 50-Point Inspection, including everything from checking reputation, history, complaints, local reviews, nearness, satisfaction, trust and cost to the general excellence. "Dr. Kasznica is a great doctor. He personally listens to your medical explanations and goes over every detail and medical issue himself. He spends the necessary time trying to understand what is going on with you so that he can make an accurate diagnosis. He will explain things in as much detail as you want to know. In order to give great and accurate medical care, a doctor needs to dig in to a patient's story and history to really be able to help, and he goes above and beyond"
"Dr Todd is very nice and answers all your questions. He is very knowledgeable when it came time to evaluate me for allergies. His nurse Gail is very nice and takes time to teach me about the steroid nasal sprays." We are so proud of them and all of our Midwest ENT doctors and staff, and the help they give our patients every day! The birds are chirping, grass is coming to life and warm breezes flow through open windows into homes. But along with the sights and sounds of spring come sneezing, watery eyes and an endless supply of tissues. Most people aren't aware how many times their middle ear tube opens and closes. But when it malfunctions, it doesn't take long to notice a potentially serious problem. Called the Eustachian tube, it connects the middle ear space with the back of the nose. It's regular opening and closing is spurred from muscles in our throat, jaw movements and swallowing which allows proper ventilation. 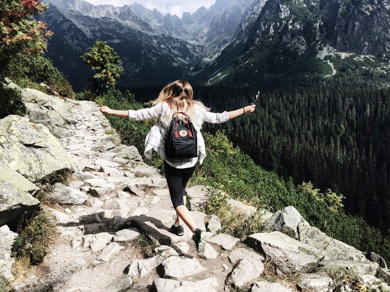 It also maintains changes in atmospheric pressures outside the ear often associated with both high and low altitudes such as air travel, mountain hikes and especially during diving activities. For some, regardless of their activities or atmospheric pressure, their tube malfunctions on a regular basis. This condition, called Eustachian tube dysfunction, or otherwise known as ETD, leaves sufferers with chronic pain, discomfort and dulled or loss of hearing. At some point, we’ve all had to lean in to hear what someone was saying, or maybe even asked someone to repeat themselves. Typically, we’re in loud environments or have multiple conversations going on at one time. Now imagine having to do this all the time, and it’s not your surroundings that are interfering. Many people struggle with sinus problems. These issues are referred to as sinusitis, which occurs when the tissue lining the sinuses becomes inflamed. Normally, sinuses are filled with air but when they are blocked they can fill with fluid, germs, bacteria and viruses, and lead to infection. Sinus blockage can be caused by the common cold, nasal polyps, allergic reactions or a deviated septum. Those with acute sinusitis can have their normal routines interrupted when they experience facial pressure and pain, nasal discharge, cough, congestion, loss of smell, fever, bad breath, tooth pain or fatigue. There are different types of sinusitis. Acute sinusitis is a sudden onset of cold-like symptoms such as a runny, stuffy nose and facial pain that does not subside after 10 to 14 days, and typically lasts four weeks or less. Subacute sinusitis is an inflammation lasting 4 to 8 weeks. Chronic sinusitis is sinus inflammation lasting 8 weeks or longer, while recurrent sinusitis is several attacks within a year. Patients with mild to moderate chronic sinusitis or recurrent acute sinusitis may be presented with balloon sinuplasty as a treatment option. Gregory Danielson, MD is a board certified otolaryngologist with Midwest Ear, Nose and Throat explains, "Balloon sinuplasty offers a minimally invasive approach to widen and alter drainage pathways to promote the natural outflow of the maxillary, frontal and sphenoid sinuses, but not the ethmoid sinuses." Dr. Danielson says that for selected patients, balloon sinuplasty can often be performed without general anesthesia due to its minimally invasive approach. In these cases, patients may realize a faster return to normal function following the procedure. How would you feel if you couldn’t hear your baby cry during the night? Or what if you had to wear a bulky hearing aid behind your ear just to function on a day-to-day basis? And talk about embarrassing when you have to ask what did you say all the time or worse yet, simply nod in agreement when you can’t hear the conversation. You have tried rinses, taken medications, avoided irritants and yet chronic sinus pain continues to wreak havoc on your life. What's next... surgery? The thought may seem daunting but thanks to new, less invasive techniques, in-office procedures to treat chronic sinusitis are offering relief without going having to go under the knife. At Midwest Ear, Nose and Throat, Board Certified Otolaryngologists Dr. Kasznica and Dr. Tamura have teamed up to bring this revolutionary technology to local patients. "Our in-office sinus procedure involves opening the sinuses with mechanized and balloon-assisted techniques," they say. Referred to as balloon sinuplasty, this safe and effective endoscopic sinus procedure requires no cutting of the nasal bone or tissue, making recovery time significantly faster. It also allows patients to undergo sinuplasty in an office setting using mild sedation and local anesthesia. Feeling sluggish or worn down? Have you been experiencing weight gain or dry skin? You may be suffering from a hormonal disbalance called hypothyroidism. But don’t fret yet. This month we take a journey into the world of mentoring! Tina Erickson, one of our awesome team members at Midwest ENT, volunteers for Lutheran Social Services as a mentor. She shares her experience with us below. We would like to thank Tina for her generosity and caring spirit. This is really great! Q: What is the name of the organization you volunteer for and can you tell us a little bit about them? A: Lutheran Social Services of South Dakota serve people of all ages, faiths, races and economic status with professional, confidential and affordable services ranging from mentoring, after school programs, senior living and adoption. Q: How did you hear about this and how did you decide to become a volunteer for them? A: I have a friend who works at LSS and she told me how many kids need mentoring through the school system. My administrator, Lisa Bendt was also mentoring at this time. When I decided to volunteer there were over 500 students that needed mentors in the Sioux Falls and surrounding area. This is a great program that takes 1 hour of your time a week to make a child feel very special. Sixty to seventy percent of shift workers are more likely to complain about problems with sleep disturbance and general fatigue than workers with a set schedule. Well, Hello! I'm Trista Olinger! I've been lucky enough to work at Midwest ENT for 3 years now and truly enjoy my job. I love being the front line for our patients and feeling like I make a difference in their lives! I'm married to the best person I've ever met in my life. Scott. He truly is my other half. We got married when I was 20, when you know, you know! ☺ We will celebrate our 7th wedding anniversary this January 1st. We have two boys, Renner (my step-son) who is 9, and Silas who is 1. #boymom all the way here!! For fun we love to swim and play on our backyard beach. My husband has our pool set up with 4 tons of sand, beach chairs, couches, a basketball hoop, and toys galore. At night, he'll set up the projector and we have 'swim in' movies! Most recently we watched Star Trek under the stars. It's my favorite thing to do, be with my family and getting to create such lovely memories! The Fun Committee started last March, when we decided we wanted to boost morale and spruce things up around the clinic! We have 1 employee from each area of our clinic to make up The Fun Committee! Members consist of Kelcey Cushman (Audiology), Kelly West (Clinical), Tamara Centra (Billing), Lisa Bendt (Administration) and I (Clerical)! Most of us remember eating peanut butter sandwiches and drinking milk growing up, but these everyday food products are now dangerous for many children as the food allergy epidemic continues to rise. Your head is throbbing, nose is plugged and the amount of pollen in the air is staggering. Yes, another sinus infection. Or maybe not? Recent studies show that the majority of those who suffer symptoms such as plugged noses, sinus pressure, itchy and watery eyes and fatigue often self-diagnose and get it wrong. Which means the condition is treated incorrectly and their quality of life is negatively affected. Thankfully, there are highly-trained physicians that perform specialized testing on patients with allergy and sinus-related symptoms to properly diagnose and treat. In other words, leave it to the pros if you want to feel better. Daniel Todd, MD at Midwest Ear, Nose and Throat, has 20 years working with sinus, allergy and nose surgery patients. Even after two decades of experience and emerging advances in health care, he still says people don't know where to turn with chronic nasal symptoms. He adds that one of the reasons is the fact there are a number of causes. "Allergies are but a single cause of nasal symptoms," says Dr. Todd. "The nose is really the target organ and that is where we are most exposed in the environment." Does springing forward have your health falling way behind? Do you color coordinate your tissues to match your wardrobe? Then you’re one of the millions of Americans who suffer from allergies. The first step is to properly identify and diagnose the sinus issue so that the best course of treatment can be administered. Skin testing is the most accurate means of testing and is generally well tolerated among patients. This is beneficial because of the complexity of sinusitis. Triggers are often a combination of anatomy issues, allergies, polyps and chronic inflammation. And because spring is slow to come in this region, people have to deal with outdoor aggregates such as tree and grass pollens in addition to indoor allergens such as molds, dust mites and pet dander. "This combination can really weigh people down, especially considering not all sensitivities are allergic," he adds. Thankfully, there are treatments to make patients feel better. Nasal sprays, steroids, decongestants and antibiotics often fill the medicine cabinets of people who suffer from chronic sinus infections. Approximately 15 percent of the population is affected by these chronic infections, known as sinusitis. But there is hope. Most people think freezing temperatures mean taking a season off from pesky pollen and other allergens. However, despite the chill, offending allergies can be even more problematic this time of year. Dr. Daniel Todd, MD from Midwest Ear, Nose and Throat, works with patients year-round to prevent, treat and potentially cure their winter allergies. "People tend to stay indoors so there are other allergens that can become an issue," he says. "In fact, our tightly sealed, well-insulated homes can aggravate the problem of winter allergies." What to look for are dust mites, animal dander and molds. But how you react to these winter weather allergens is different from seasonal allergies, which cause more hay fever-like symptoms. "If you have symptoms such as congestion, headache and drainage, you likely are suffering from winter allergies." Preparing to send your child to school can sometimes be overwhelming, and if your child suffers from an allergy condition, you could be facing much more preparation than just purchasing the right pencil. But the key to keeping your children safe at school against allergies comes down to identifying, educating and managing the condition. Most think freezing temperatures means taking a season off from pesky pollen and other allergens. But despite the chill, offending allergies can sometimes be more problematic during this time of year. Dr. Todd from Midwest Ear, Nose and Throat in Sioux Falls, works with patients year-round to prevent, treat and potentially cure their winter allergies because with the cold temperatures bring on a whole new sleuth of sufferers. "People tend to stay indoors so there are other allergens that can become an issue," he adds. "In fact, our tightly sealed, well insulated homes can aggravate the problem of winter allergies." What to look for are dust mites, animal dander and molds. But how you react to these winter weather allergens is different from the seasonal allergies, which cause more hay fever like symptoms. "If you have symptoms such as congestion, headache and drainage, you likely are suffering from winter allergies." Just as the triggers and symptoms differ from seasonal allergies, so do the precautions and treatments. Although some do cross over, there are a number of things we can do to prevent a reaction. These steps include reducing humidity in the home, washing bedding weekly in hot water, removing carpet and cleaning hard surface floors using a damp mop to reduce stirring up dust. "You may also find that it helps to open a window or door on warmer days to air out your house right after cleaning so the allergens and dust you've kicked up have a place to escape," says Dr. Todd. The wind-up to the sneeze that leaves everyone scattered. The trail of tissues you left on the floor. Or how about the coughing attacks that interrupt an important presentation or strike while talking on the phone. Yes, most can identify.